Creative thoughts are fleeting, so when an idea strikes, you have to jot it down as quickly as possible or risk forgetting it altogether. Let's say you randomly think of a perfect tweet while you're using your phone. You exit whatever app you were using, head to the home screen, dig through your app drawer, open Twitter—and by the time you make it to the "What's happening?" screen, you totally forgot what you were going to say. But instead of having to rummage through your apps and find the right one to share your brilliant idea, what if you could quickly jot down the thought from any screen, then choose an app to share it with? This is the exact premise behind developer Konrad Iturbe's latest app, and all you need to try it is a phone running Android 7.0 Nougat or higher. 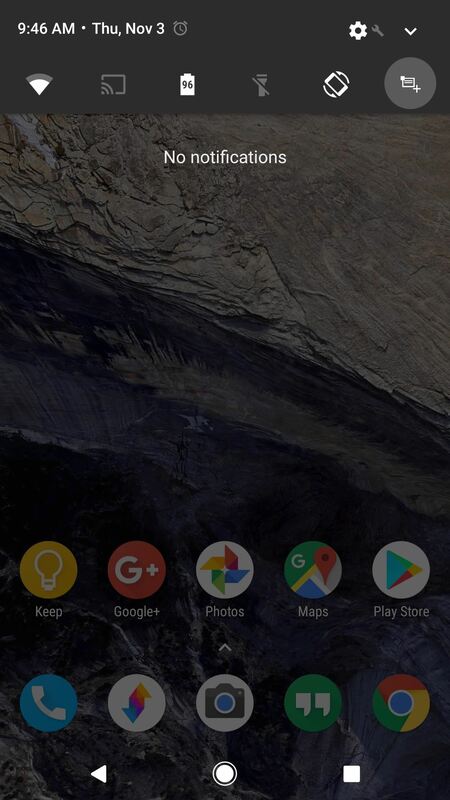 To get this one going, start by installing the free app, which is called Notedown Tile. 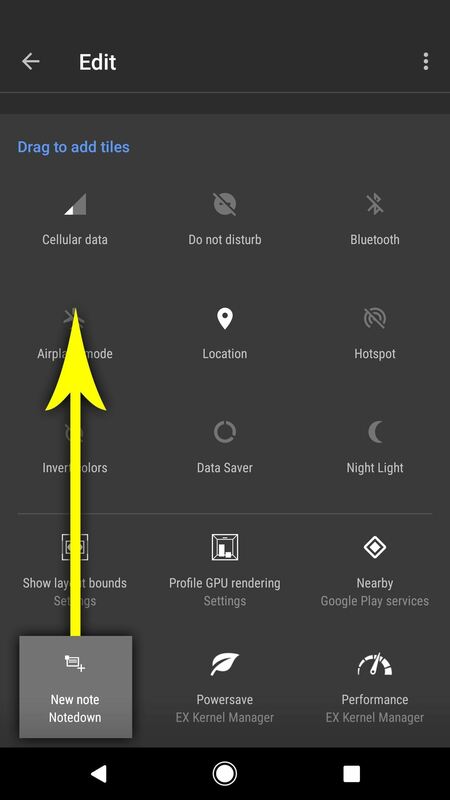 Next up, swipe down twice from the top of your screen to fully expand your Quick Settings menu. 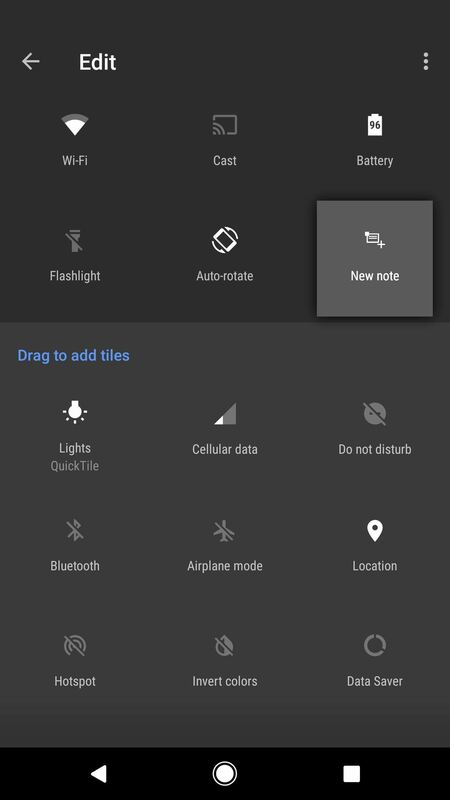 From here, tap the pencil-shaped edit button, then scroll down to the bottom of the list to find the tile labeled "New note Notedown." Next, press and hold this tile, then drag it up towards the top of the list, and drop it in the darker gray area to make it an active tile. When you're done here, press your back button. 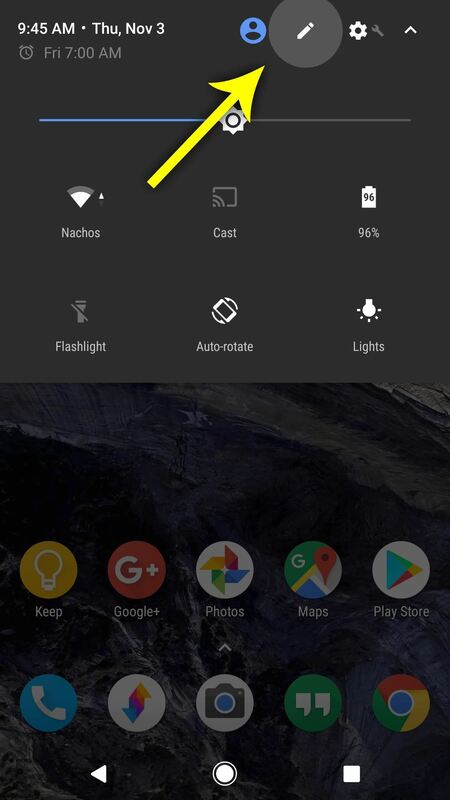 From now on, whenever an idea strikes, simply open your Quick Settings menu from any screen, and tap the Notedown icon. 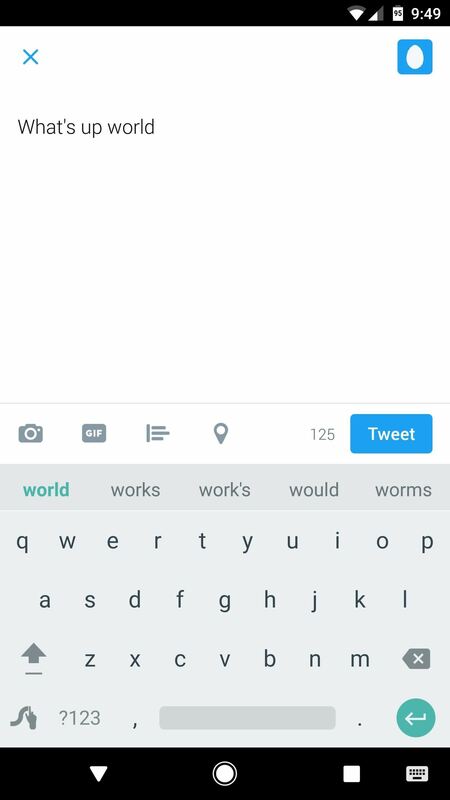 Next, you'll see a notification—just tap the "Write" button here, then type out your thought. 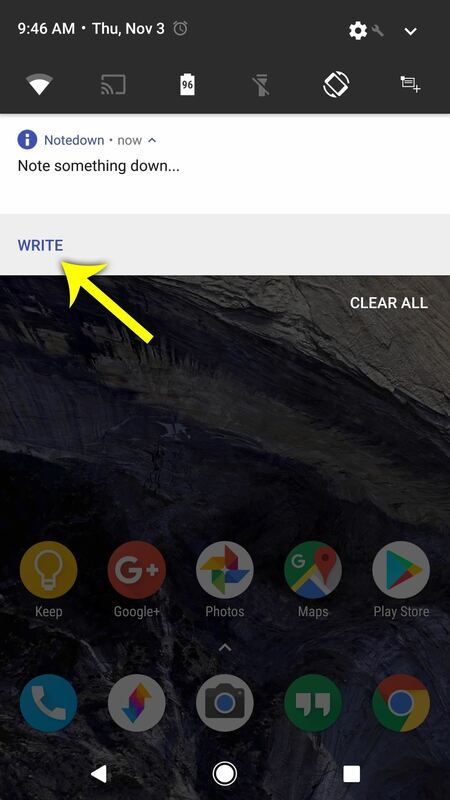 Once you've jotted down your thought, tap the send button on the notification, then you'll see Android's share menu. From here, just pick any compatible service from the list, then your note will be queued up and ready to post. 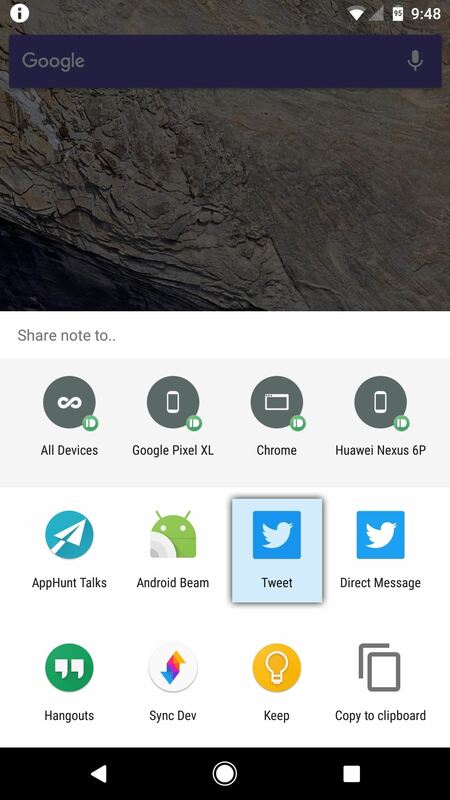 We're using Twitter to demonstrate here, but other text-based apps like Google Keep, Wunderlist, Gmail, Facebook, or your favorite messenger app would work just the same. 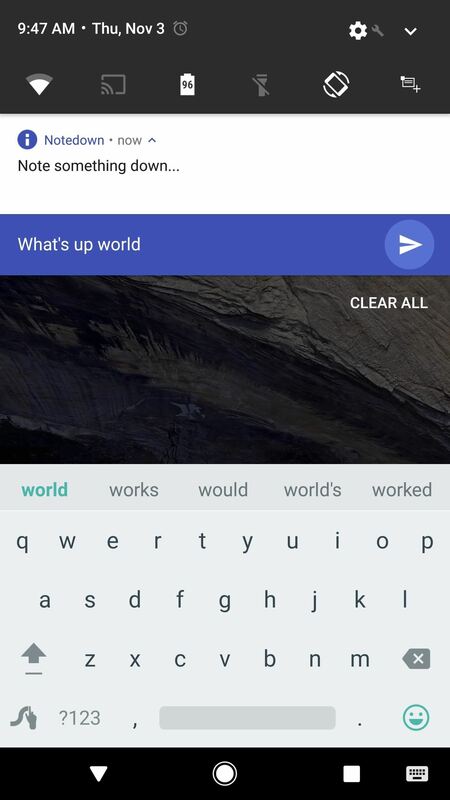 This means that any time you think of something that needs to be written down, you can use Notedown to type it out quickly, then pick any service to share it with.